Okra has become well-known recently as a superfood against diabetes, prompting many people to give it a try. If you’ve felt an unexpected boost to your mood from okra, there may be more to it than just good nutrition and stabilized blood sugar: researchers have just discovered that okra seeds contain a powerful natural antidepressant and they’ve demonstrated the effect on mice. That’s good news for diabetics, because depression is especially prevalent among diabetics due partly to blood sugar fluctuations associated with diabetes. If you’ve ever noticed that people with healthy diets appear to be in better moods more often, there is good reason for it. Scientists have known for long that flavonoids (found in fruit and vegetables) have mood-elevating properties. For example, quercetin (found in apples, citrus fruits, onions, parsley, red wine, tea, blackberries, blueberries, leafy green vegetables) has been shown to significantly improve mood-scores in diabetic mice. Since the seeds and leaves of vegetables often contain the highest concentrations of antioxidants, researchers in this study prepared extracts from okra seeds and leaves, to test antioxidant levels. The extracts were found to contain the same levels of antioxidants (58 – 68 mg of gallic acid equivalents per gram) as extracts of blueberry and blackberry, which are among the most powerful of all the fruits and berries. 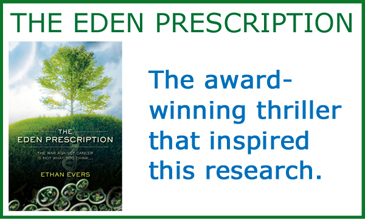 Because of this, it made sense to test the okra extracts as anti-depressants in mice. Okra exerts powerful antidepressant effects – but at what dose? The researchers used standard tests known as “forced swimming” and “tail suspension” to gauge the mood of the mice (based on their reaction time to these events) as a measure of depression. The result? Okra seed extract significantly improved the mood-scores of mice in both tests at nearly all doses tested. And amazingly, at the highest dose used, the seed extract actually performed as well as imipramine, an FDA-approved drug for depression. The dose required to do this was fairly high: 750 mg of 10:1 seed extract per kg bodyweight. For a 75 kg adult human, that would equate to eating roughly 560 grams (well over a pound) of the seeds daily. However, the extract also significantly boosted mood at the lower dose of 250 mg / kg, equivalent to eating about 180 grams of okra seeds for an adult human. But that’s just testing the seeds. 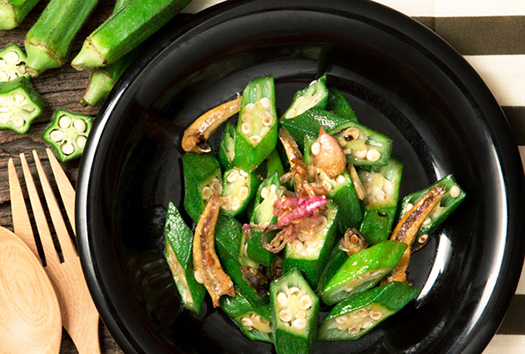 Whole okra also contains a unique fiber which has been shown to help regulate blood sugar. That in itself may help with depression, which can be worsened by blood sugar fluctuations. Okra may offer many potential benefits apart from lifting your mood and fighting diabetes. A newly discovered lectin in okra was recently shown to kill up to 72% of human breast cancer cells (MCF7) in vitro, while the pectin was recently discovered to kill up to 75% of highly metastatic melanoma cells in vitro. (Note that the pectin is found under the pod’s skin, while the lectin is found in the seeds.) In addition, a recent cohort study carried out in the United States found that men eating a Southern dietary pattern (characterized by eating okra, grits, cornbread, beans, rice and sweet potatoes) experienced 40% less prostate cancer than those not eating such a diet. The newly discovered lectin mentioned above was also observed to possess anti-inflammatory and anti-nociceptive (pain relieving) properties, which makes it a very interesting compound for future research. The takeaway here? Okra is quickly emerging as a new superfood for many health conditions, with benefits coming from all parts of the vegetable. So try eating healthy portions of whole okra as one more regular vegetable in a varied diet rich in organic fruit, vegetables, whole grains, and whole foods. As for eating just the seeds, it’s interesting to note that the roasted seeds have been used in Turkey for many generations as a traditional medicine for diabetes. Perhaps food really is the best medicine.